Another great card from the Sea Street stamp set in the new Stampin Up Catalog. 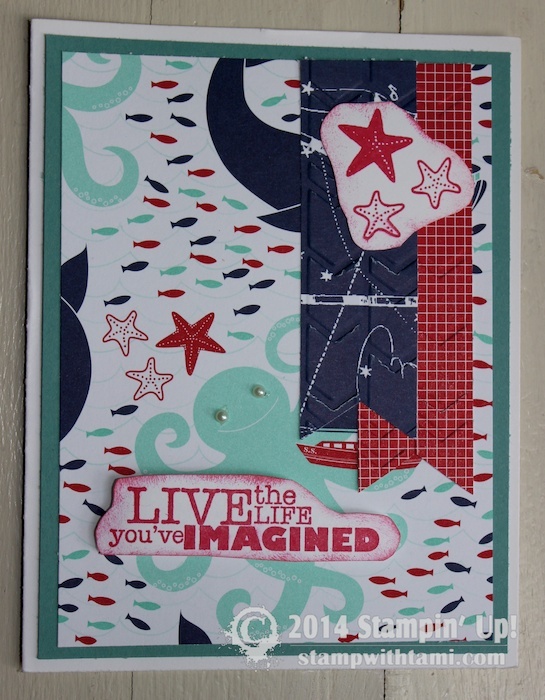 “Live the life you’ve imagined” greeting comes from the Really Good Greetings stamp set . Background from the Maritime designer paper. Created by Patty Chiszor. I love the octapus card and the Sunset Card. LOVE this set…and your design!